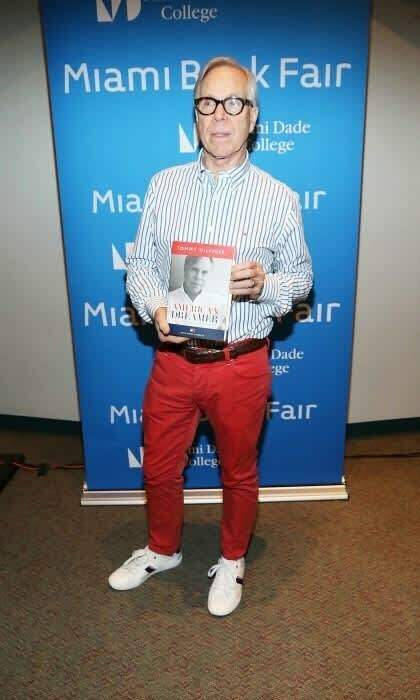 Tommy Hilfiger would happily dress Melania Trump | HELLO! It's all about fashion, not politics when it comes to Tommy Hilfiger. The style mogul spoke out about his desire to dress upcoming First Lady Melania Trump. "I think Melania is a very beautiful woman, and I think any designer should be proud to dress her," the 65-year-old told WWD during Monday night's Angel Ball in New York City. "Ivanka [Trump] is equally as beautiful and smart, although she wears her own clothes. I don't think people should become political about it." Tommy graciously complimented current First Lady Michelle Obama and President-elect Donald Trump's wife and oldest daughter on their style. "Everyone was very happy to dress Michelle [Obama] as well. I think they look great in the clothes. You're not gonna get much more beautiful than Ivanka or Melania." Tommy, whose look was recently seen on Princess Beatrice at Monday night's event, has also designed countless celebrities including Olivia Munn, Jessica Alba and Renée Zellweger. The designer also collaborated with supermodel Gigi Hadid for a capsule collection earlier in the year. The American Dreamer author's comments come on the heels of French designer Sophie Theallet's vow last week not to design for Melania Trump. Sophie, who has dressed the current FLOTUS sent out an email encouraging fellow designers to do the same. "As one who celebrates and strives for diversity, individual freedom and respect for all lifestyles, I will not participate in dressing or associating in any way with the next First Lady," the email read. "The rhetoric of racism, sexism and xenophobia unleashed by her husband’s presidential campaign are incompatible with the shared values we live by. I encourage my fellow designers to do the same."